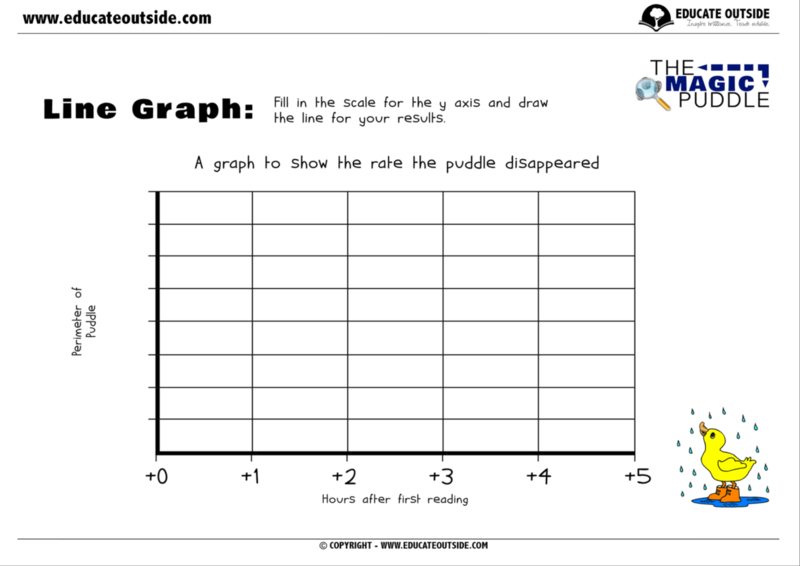 Explore the magic that is evaporation, and states of matter, with this fun investigation. 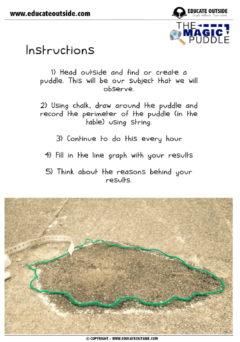 The Magic Puddle Investigation will get your class improving their scientific investigation skills while thinking about the process of evaporation. It is best to do this activity on a sunny day. The background story (to get your class motivated). 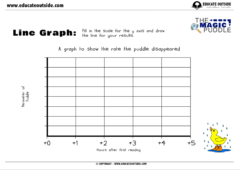 3 x differentiated line graph sheets. 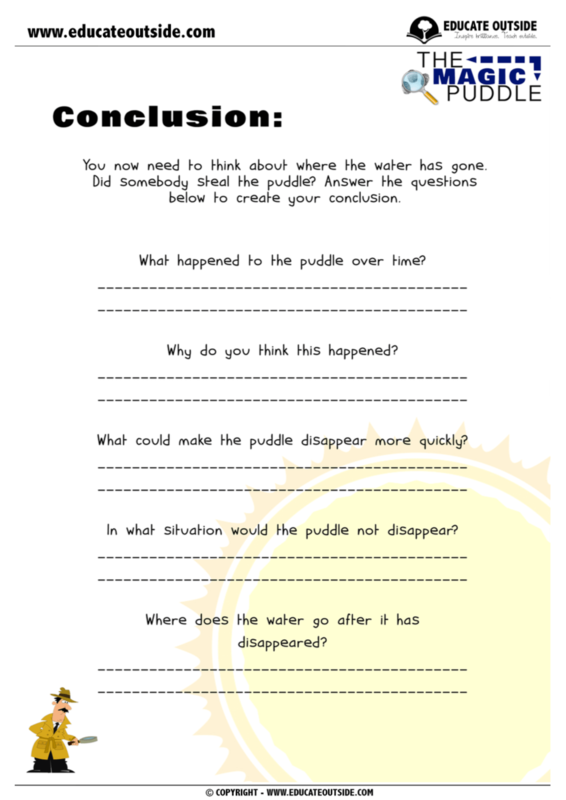 2 x differentiated conclusion sheets.